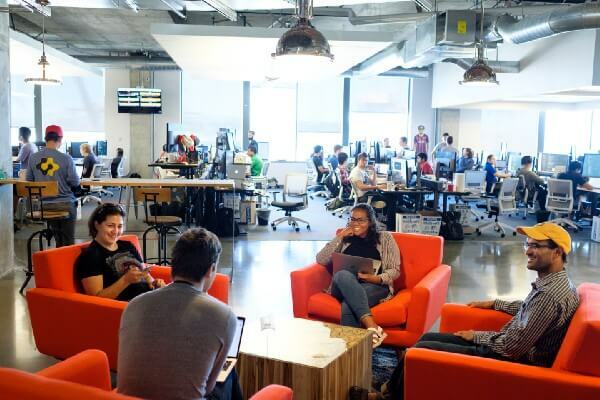 The “co-headquarters” is home to 10 independent product teams, with close to 50 team members joining every quarter. 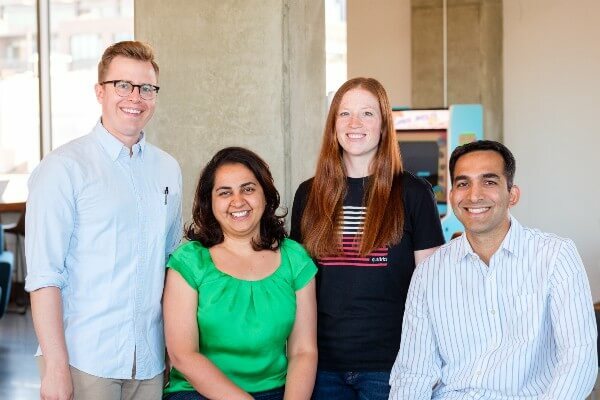 We talked to Owen Hancock (Software Engineering Team Lead), Claudia Whitten (Software Engineer), and Rupali Jain and Sachin Goregaoker (Product Managers) to explore the challenges the Product and Engineering teams collaborate to solve. We learned how they employ AI and machine learning to turn massive data sets into actionable insights. What does Qualtrics do and why is it important? Owen: Qualtrics collects and analyzes data to give companies insights into their customers, employees, products, and brands. 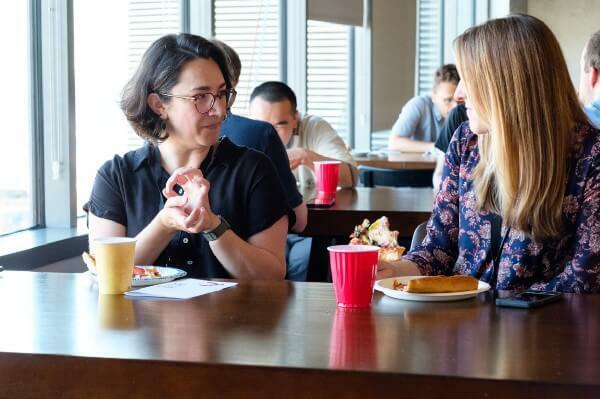 Right now, my team is particularly focused on the customer experience side, helping our clients understand what people are saying about their products and services, then helping them act on those insights. From left, interviewees Owen, Rupali, Claudia, Sachin. Rupali: What’s really exciting to me is that we’re closing the gap between how a company sees itself and how the customers actually feel. If an airline is starting to see issues with its boarding process, for example, or people are getting bumped from flights, can we get ahead of that? If we give our client early insight on a problem like that, they can take action and fix it before it turns into something that’s making headlines. Claudia: The process is similar on the employee experience side, which is where I work. 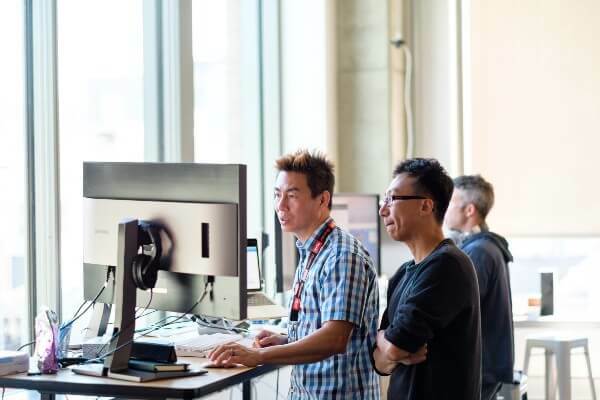 We focus on helping companies understand what makes their team productive, happy, and motivated, then they use that data to guide changes and create a better work environment. Tell us about the different Qualtrics products, and who they’re for. Rupali: Qualtrics has expanded into new verticals as we’ve grown, and this year, we divided our platform into four product lines. Customer and employee experience were existing verticals, and now we have product and brand experience, which are new areas of focus for us. In customer experience, we’re selling mostly to large corporations, working with chief experience officers and people in operational or marketing roles. Our employee experience vertical mostly serves HR and managers. And our target audience for the newer verticals are product managers and brand managers. 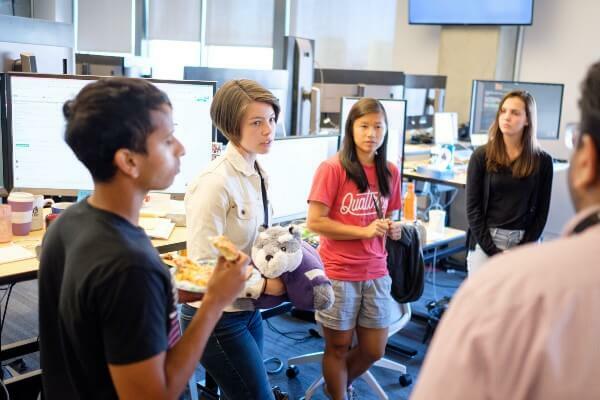 Left: At Statwing team’s standup, it’s your turn when you’re holding the stuffed husky (the UW mascot). 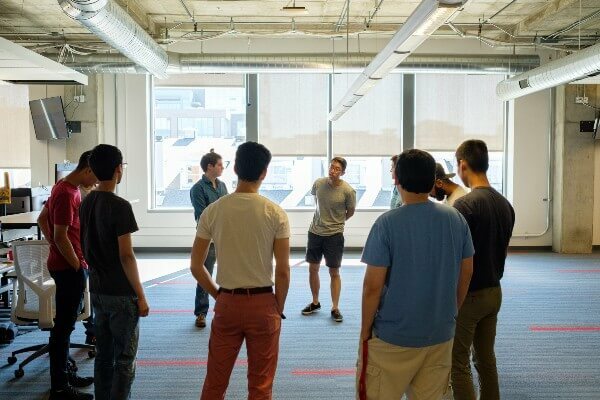 Right: The Digital Experience team holds standup in one of the office’s last corners of open space. Gotta stay hydrated. And through the window, workers put the finishing touches on new housing next door. Seattle’s building boom powers on. Most engineers get in by 10am. 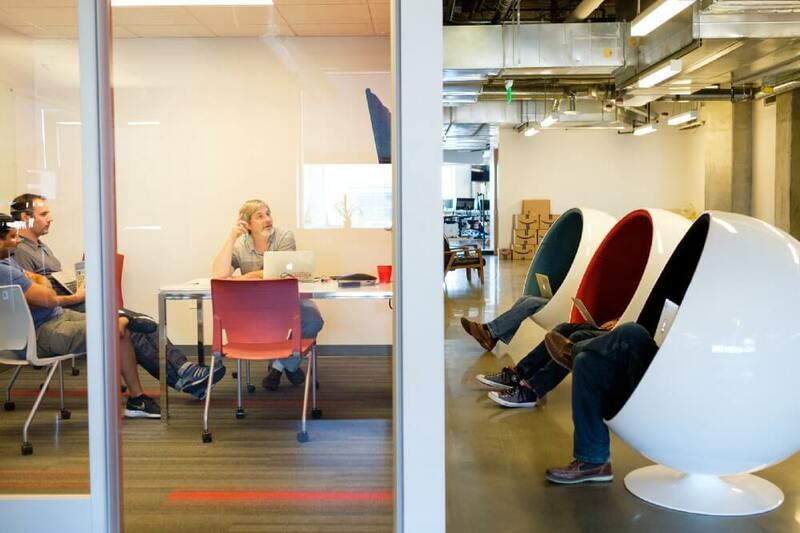 After standup, the engineering floor is a mix of heads-down work and quiet conversations. How do the Product and Engineering teams work together? Sachin: I think one of Qualtrics’ strengths is the way we merge the business and tech sides of our work. Most of our product managers are former engineers, like me, or they have a computer science background. That’s unusual. Our goal in Product is to speak Engineering’s language — not necessarily by writing code, but by understanding the technical challenges they’re facing and contributing to healthy debate on how to solve them. 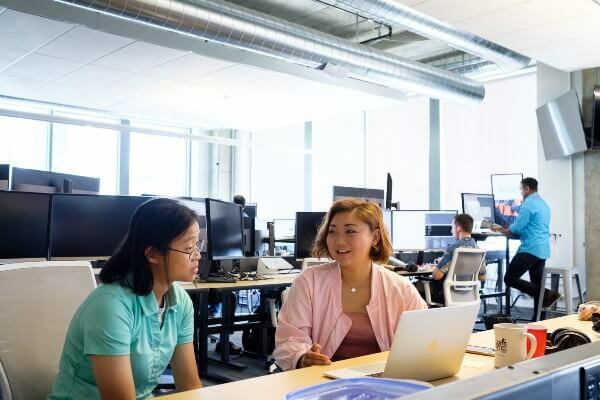 Our Product team often provides a high-level vision, but Engineering gives us the feedback on what’s feasible for the current team, which is how we actually execute and get something to market that will delight our customers. Owen: Yeah, I feel like Engineering always has a say about what’s most important and how we should prioritize. We can push back and advocate for certain projects. It’s a very collaborative environment; the PMs have to be persuasive and get everyone on board. Rupali: Absolutely. We may not report to the same person, but we work very closely together. For example, the Engineering team will often give us a head start on planning and take the initiative to write their own specs on projects we’ve prioritized for the next quarter. They’ll work with design directly, which I love, because it means I’m not a bottleneck on moving things forward. 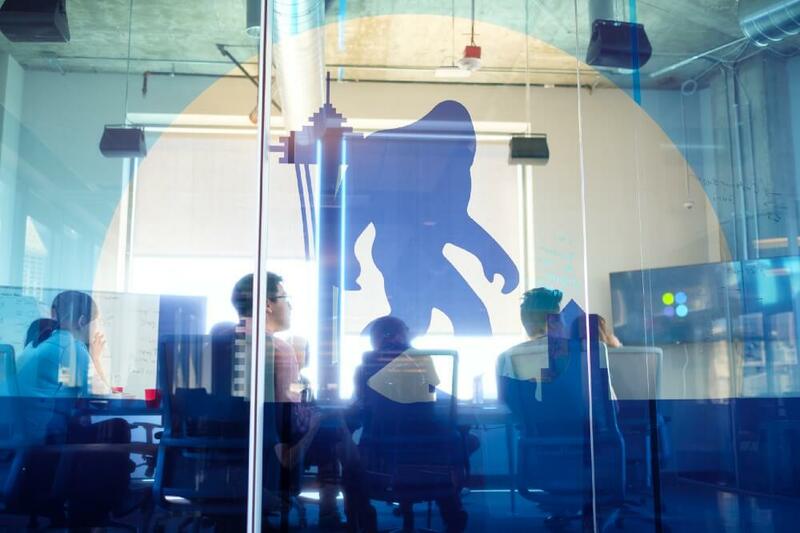 They’re very product- and customer-focused, and it makes our work really fluid and fun. Owen: It’s hard to know where to start! So many cool things are happening right now. In analytics, our first big challenge is helping clients dig in and understand their data and where it’s coming from — whether that’s surveys, or social media, or their own files, or a combination of sources. There aren’t many tools out there yet to make that discovery process more intuitive, so it’s been fun to experiment on that front. The second challenge is how our clients share those discoveries. Once they’ve found something really interesting in their data, how do they tell people about it? It may be a dashboard on a website, or a PowerPoint presentation for their CEO. We’re bringing in a bunch of different products to help them lay out their findings. Claudia: One of the exciting things for my team right now is figuring out how we fill the gaps throughout the employee lifecycle. There are so many different features Qualtrics can provide to help companies understand an employee’s experience, from recruitment to exit interview.How do they feel about their peers, about management, about the direction of the company as a whole? Looking for those answers has been a good opportunity to interact with people on other teams. I’ve been able to dig into the work they’re doing and see how it might be relevant to ours. Rupali: The coolest thing for me right now is Qualtrics iQ, which we just announced. Essentially, it’s a set of predictive intelligence and statistical analysis features that run on AI and machine learning. This is information our clients couldn’t have accessed before without coding skills or special training in Excel, and now it’s built right into our platform. They can select different variables and see right away whether there’s causality or they’re just correlated. They can look at a bunch of comments and iQ will tell them exactly what topics are being discussed. It’s incredibly powerful. 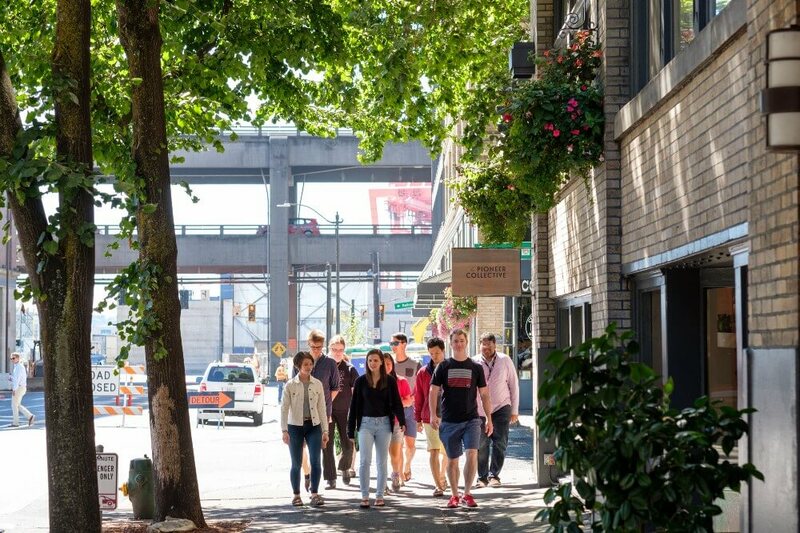 The office is a 5-minute walk from Pioneer Square, where team members often head to get out of the office for some midday coffee and ice cream. Left: Back at the office, Erin and Pauline chat over pizza. Right: The office atrium doubles as a game room. What technical challenges are your teams facing right now? Sachin: “With great power comes great responsibility,” right? Qualtrics is serving some of the biggest companies in the world, and they have increasingly complex needs. So one of our biggest challenges is scaling, and growing as our clients grow. Owen: The data sets get bigger every year, and it’s tricky to design an engine that can aggregate tens of millions of records in real time. But those huge data sets also give a lot of opportunities to do cool things with machine learning. For example, we can use topic modeling to pull out key phrases coming from different sources, like Twitter and Facebook. There are lots of ways to structure the data and help us and our clients better understand what it means. Claudia: Just the preparation required to work with these massive datasets is pretty wild. Step one, do we have enough servers in each data center? Okay, step two, let’s load test and see if we can we handle that much traffic. And if you find out no, you can’t, then you have to prioritize what’s going to get you there. There are always interesting problems to solve. 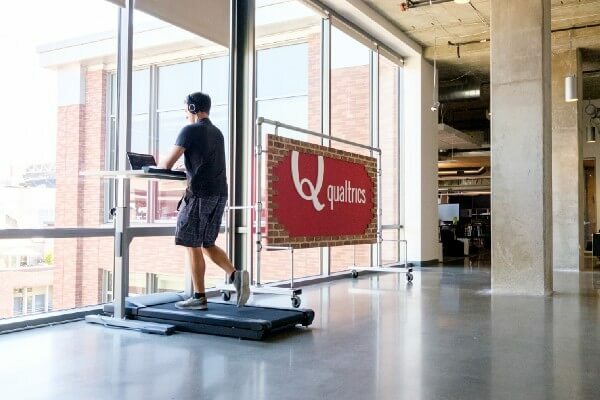 Left: Treadmill desks and massage chairs are key to any Qualtrics office. Right: Brianna, Alex (facing away), and Joanna and Ram, have an impromptu meeting in one of the office’s many lounges. On the left, Sujit, Ben and Wayne are on a conference call with team members in Provo, Utah. On the other side of the wall, team members work in sound-quieting chairs. What’s different in Seattle now that you’re working on multiple products? Sachin: There’s a conscious effort to focus on the Qualtrics platform as a whole, rather than individual products. 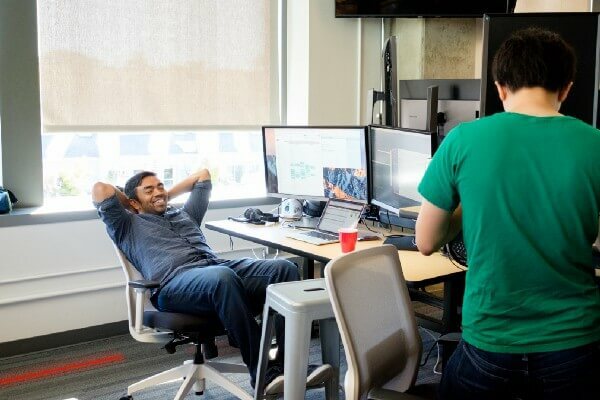 We want to create features that can be used across products — so you might be working in customer experience on Vocalize, but you’re building for the entire platform. Claudia: Right, the way we structure each team’s work has changed because there’s so much more we’re working on. 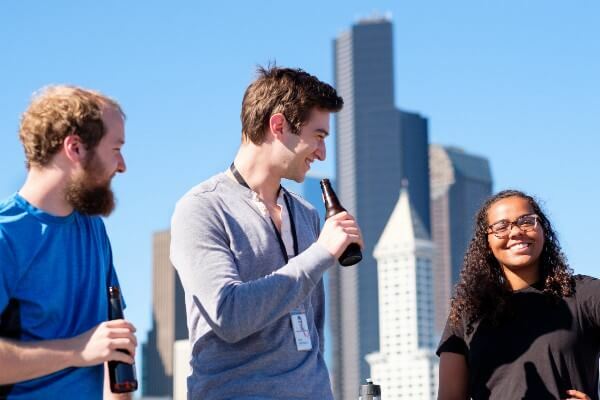 Vocalize used to be the primary product engineers worked on in Seattle. Now that we have multiple verticals, of course we want them all to benefit when we build something new. So the folks working on Qualtrics iQ, for example, have to make sure the platform will be able to integrate with multiple products, not just customer experience. Owen: Three years ago, it was tough to imagine our Engineering team being 500 people. But now, we have so many different projects, I think we could double or triple in size and still have plenty of things to work on. 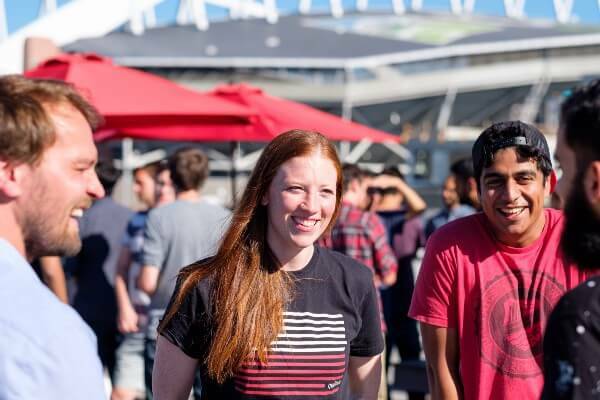 What learning opportunities does Qualtrics offer? 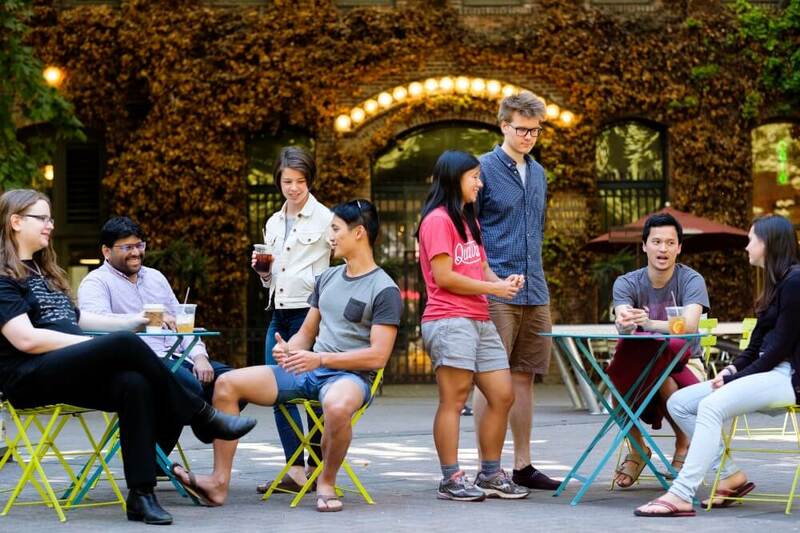 Rupali: You really get a holistic education — both the business and tech sides. The Qualtrics mindset is, the more you know about the company, the more you’ll be empowered to make decisions that have a positive impact. So we want everyone to learn and grow as much as possible, both from a skills and knowledge perspective and in terms of levels and leadership. Because we’re growing quickly, it’s critical that our team members grow quickly too. We’re not gonna give you a spoke and a wheel to work with. We’re gonna give you the whole damn bicycle. Owen: We have lunch-and-learns every Friday, where engineers come and share the new technologies and methods they’ve been using. The company also reimburses us for books every quarter, which a lot of people use to start group study sessions. Sachin: We get to hear about new technologies directly from the companies who make them too — we often have folks here to discuss what they’re working on. So we get to meet external CEOs and PMs and learn about other industries as we look at those potential partnerships. A few of the people (and moods) behind Qualtrics products. Clockwise from top left: Pranip feels grand, Michael holds forth, Rupali concentrates; and Ambarish…sorry, dude. What drew you to Qualtrics? Rupali: To be honest, I hadn’t heard of Qualtrics when they reached out. But not long after that, I happened to meet John Thimsen, our head of Engineering. He was telling me all about this startup he’d left Amazon for, and I was like, “Wow, he seems like a great person and he’s really excited about what he’s doing.” That got me interested, and as I learned more, I realized I’d have access to so many more tools here than I did in my job at the time. Everything there lived in PowerPoint and Excel, but at Qualtrics, I could actually build platforms for my clients. That was hugely exciting to me. Sachin: I was familiar with Qualtrics from business school, and when I talked with the team in Seattle, I just loved everyone I spoke with. They were all so passionate about this rocket ship that was about to take off. There was a lot of work going on, and a lot of potential to make a big impact — but there weren’t any egos. That stuff is checked at the door. No one judges you for playing table tennis or some pool on your break. It’s just about collaborating, getting the work done, and adding tremendous value for our clients. Claudia: The people were a big factor for me, too. When I was deciding whether to accept the offer from Qualtrics, John Thimsen called me and we talked for a solid half-hour about why he was so pumped about Qualtrics. That excitement was contagious. I also like that our work is different every day, and you get to actually see a product through from inception to delivery. That’s really rewarding. Owen: I’ve been here since I was an intern in college, and I’ve stuck around for eight years because I haven’t gotten bored yet. Not once have I come into work and thought, “Oh no, not this again.” There’s always a new challenge, so I’m constantly growing and finding new things to build. What do you like about being here in Seattle? 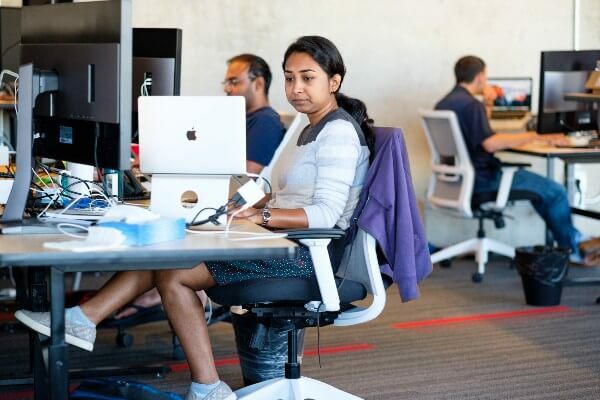 Rupali: The tech culture here is really interesting, and the level of talent is incredible. Of course you have the big companies, but there’s a pretty strong startup scene too. And it’s just a great place to live. It’s a super dog-friendly, walk-friendly city, the food is amazing, and you can’t beat the weather in the summer. 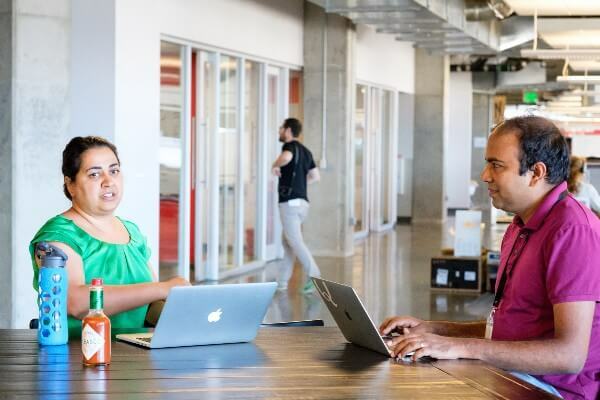 Which characteristics help people excel at Qualtrics? Rupali: It’s a fast-paced environment, so you should be able to keep up with that. And we all help hold each other accountable, so it’s important to be a team player and still be comfortable taking ownership and initiative. This isn’t a place that does politics at all, though, which is refreshing and wonderful. Claudia: Yeah, as Sachin said, checking your ego at the door is essential. Also, I’d say not being afraid to ask for help because growing and learning quickly is so key to success here. Owen: I think this is a good place for people who are product-focused and innovative. You should be comfortable being pushed and thinking of cool new ways to do things. I don’t want an engineer who’s just going to come in and code. I want somebody who’s got ideas about how to build a world-class product. Forgot to mention — there’s a roof deck 🙂 Pudget Sound to the left, downtown to the right, cold beverages in hand. Well, cold beverages when there’s a happy hour. Most days folks head up for small meetings, phone calls, and heads-down work (the wifi is strong). Do you look for people who specialize in frontend or backend, or do most people have full-stack experience? 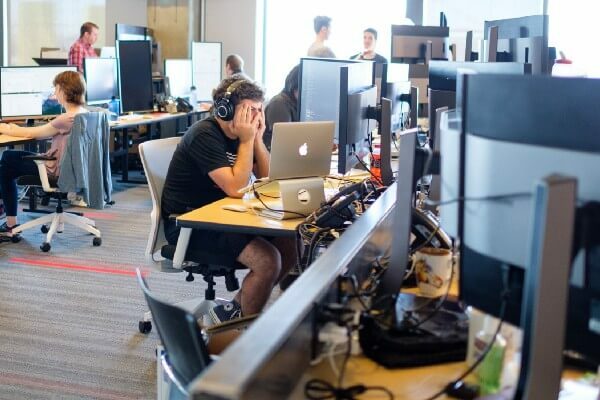 Owen: Our developers work on the entire stack, but we do try to encourage a bit of specialization, and some engineers have an affinity toward one or the other. There’s a DevOps role on each team, for people who like working on the backend. And we’re looking for some frontend experts right now, to touch up our UI. Claudia: I think it’s the perfect balance — you’re allowed to specialize, but you’re not forced to. One of the reasons I left my last job was that they weren’t encouraging me to branch out from backend work. Qualtrics was willing to interview me as a full-stack developer, even though they knew they’d have to invest some time in making that happen. 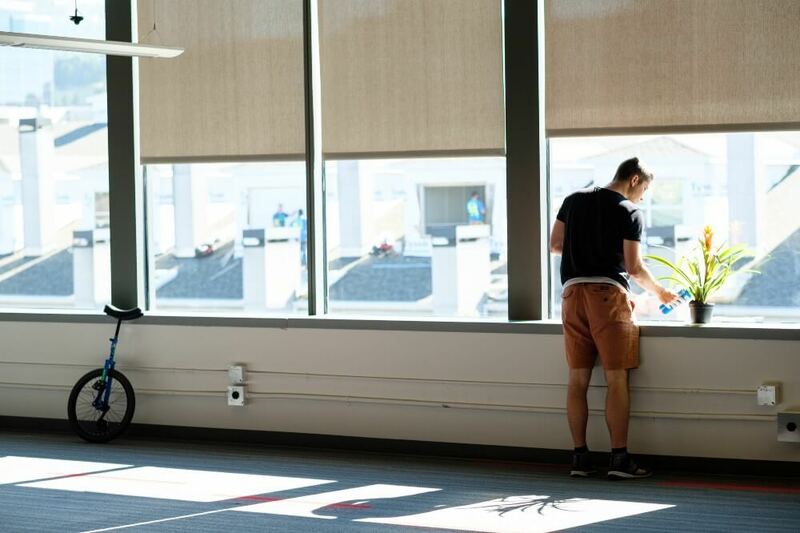 How is the culture at Qualtrics different from other companies? Claudia: I love the diversity of experience my colleagues bring to the table. 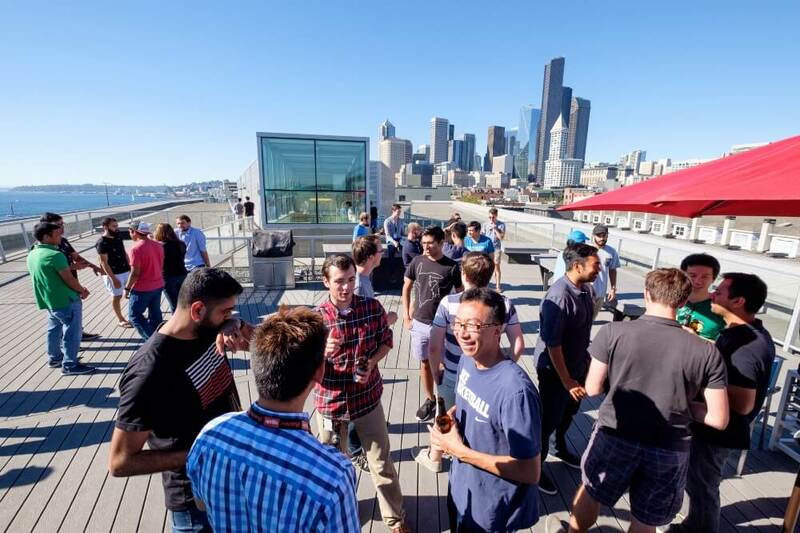 We have former Microsofties and Amazonians and people from various startups, so there are a lot of fresh perspectives and we all value each other’s ideas. As a woman in tech, there are a lot of environments where you will throw out an idea and be ignored, then the guy next to you suggests the same thing five minutes later and suddenly everyone thinks it’s brilliant. I have never experienced that here. The managers here also give you great, direct feedback, which is awesome. It helps me grow so much faster. Sachin: There’s definitely a growth mindset here. You won’t be doing the same thing for the next three years — even if it’s what you’re best at right now. Decisions around our roles are based not just on what the company needs and what you’re good at, but on how you want to grow. Rupali: Every single person that joins has an enormous opportunity to make an impact on the future of the company. We all have the chance to be leaders. Owen: I think the culture here is pretty special. There’s a lot of responsibility and ownership on the team, and managers are dedicated each person realizing their potential. We track what people are working on and we talk about how to improve. So people are very invested in the company and their teams, which I think is part of the reason so many of us stay for so long. We’re like family. 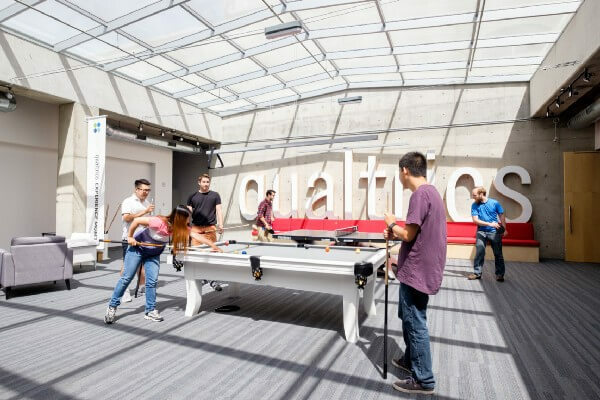 Interested in joining the Qualtrics team in Seattle? 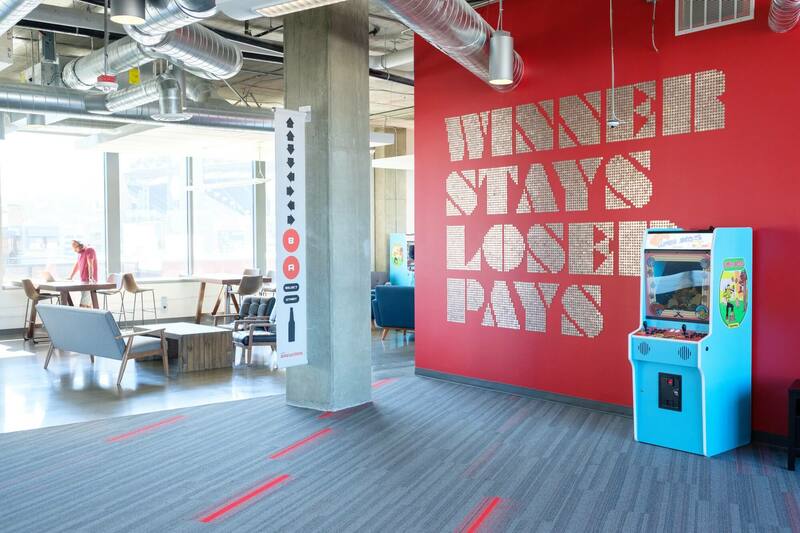 The Qualtrics creative team created this gaming-inspired mural by hand-gluing hundred of quarters to the wall.